An Afghan Taliban suicide attacker blew up a bomb-laden car in Kabul during rush hour on Saturday, killing at least two civilians, as militants dial up pressure in the capital amid calls for peace talks. 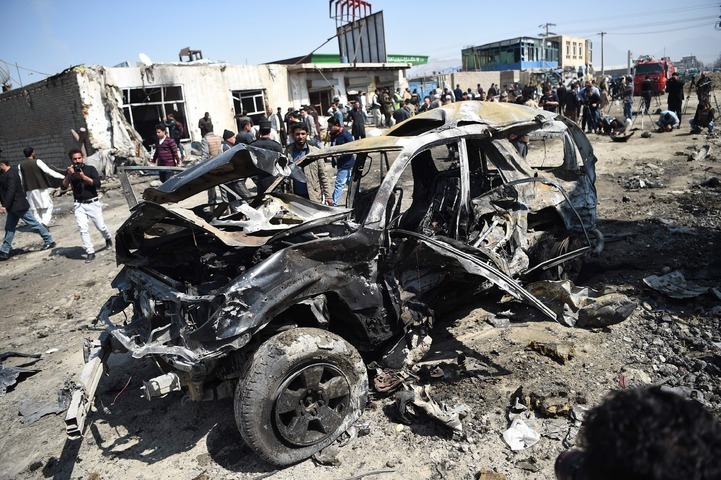 Several others were wounded in the blast claimed by the Taliban that the Afghan interior ministry said had targeted global security company G4S. 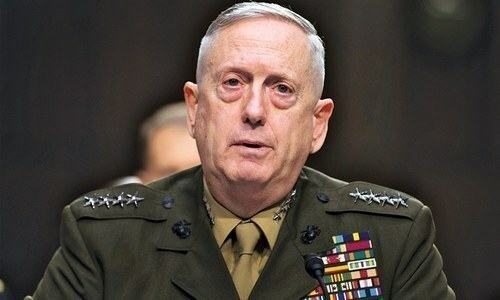 It was the fourth suicide attack in Kabul in three weeks and comes days after the top US general in Afghanistan said protecting the city was “our main effort”. It also comes as the Taliban face growing pressure to take up Afghan President Ashraf Ghani's offer of peace talks to end the 16-year war. So far it has given only a muted response. 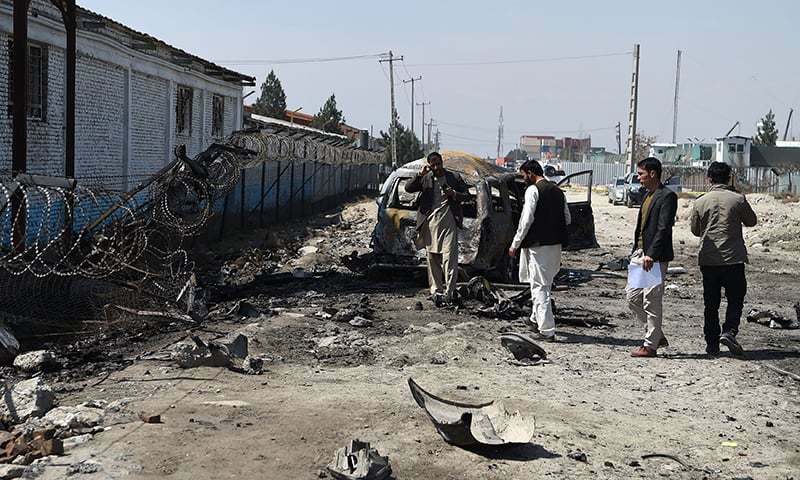 “Around 9:10 am this morning a suicide car bomb exploded in Police District Nine of Kabul,” interior ministry spokesman Najib Danish told AFP. Two civilians were killed and three others were wounded in the attack, Danish said. The blast happened at a time when many people would have been driving to their offices on the first day of the working week. Deputy interior ministry spokesman Nasrat Rahimi said the bomber was heading towards G4S but “detonated himself before reaching the target”. In a WhatsApp message sent to journalists Taliban spokesman Zabihullah Mujahid said the bomber had targeted a convoy of “foreign troops”. “All occupiers were killed,” Mujahid said. The attack comes weeks before the start of the spring fighting season which is expected to be more intense this year as militants respond to intensifying US-led air strikes. Saturday's suicide assault comes days after General John Nicholson, who leads US and NATO forces in Afghanistan, said protecting the city was a priority for foreign forces. “Kabul is our main effort right now, to harden Kabul, to protect the people of Kabul and the international community that are here because of the strategic impact that has and the importance to the campaign,” Nicholson told reporters on Wednesday. 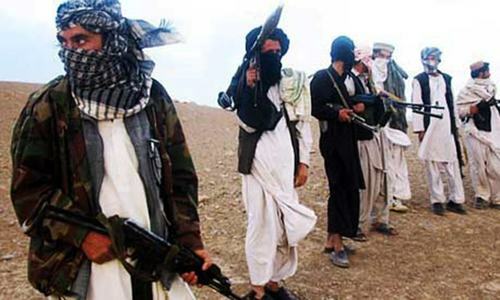 Taliban and the militant Islamic State (IS) fighters have been ramping up attacks in Kabul in recent months, increasing pressure on the Afghan government, which is frequently lambasted for its inability to protect civilians. The most recent was on March 9 when a suicide bomber blew himself up in a Shia-majority area of the city, killing at least nine people. IS claimed responsibility. Despite calls for the Taliban to sit down with the Afghan government, it appears to have few reasons to negotiate. The group has been resurgent since the withdrawal of US-led NATO combat troops at the end of 2014, taking back territory and devastating Afghanistan's beleaguered security forces. Afghan government of president Ghani is no different than the last dovernment of Karzai. Both are corrupt.